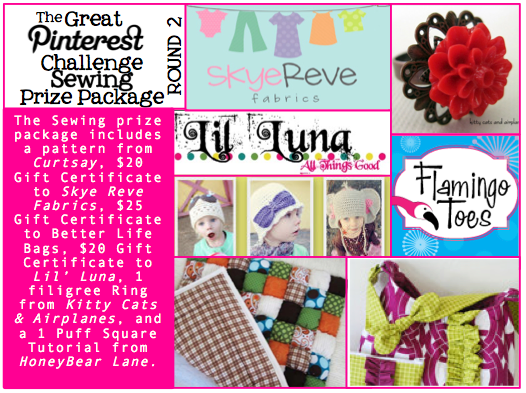 So Friday we announced The Great Pinterest Challenge!! I am so excited to be a part of this challenge. And weirdly enough, a few other big blogs have had the same idea and are doing their own challenges. 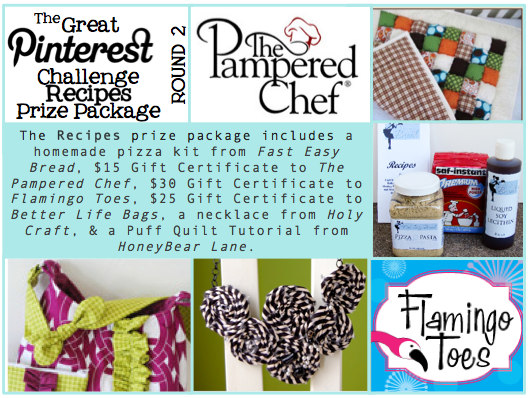 But if you enter our challenge, you could have a chance to win one of these fabulous prize packages!! 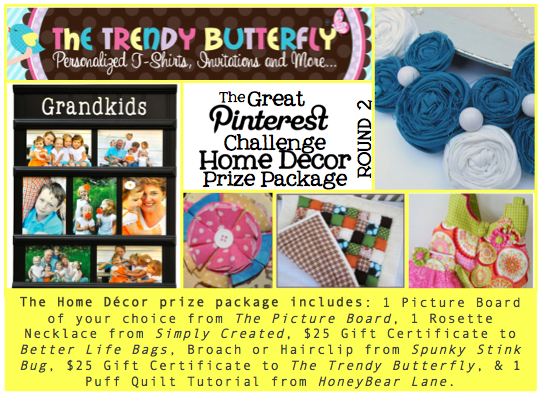 and of course a Puff Quilt Tutorial from me, Honeybear Lane! That’s a Total Value of over $120 dollars!! We are so excited to have all the sponsors participating in this challenge. Just gives you all extra motivation to enter right??!!! We will be going into more details about these fabulous sponsors in the next couple of weeks because you seriously need to get to know them!! 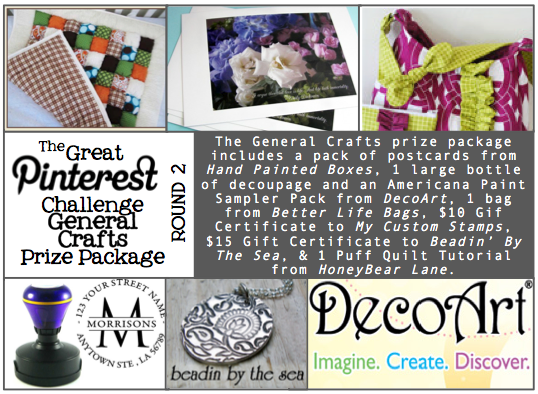 In the meantime, keep scanning your Pinterest and get inspired to make something that you can enter into one of these categories!! Absolutely fabulous! I have to make something, for sure.